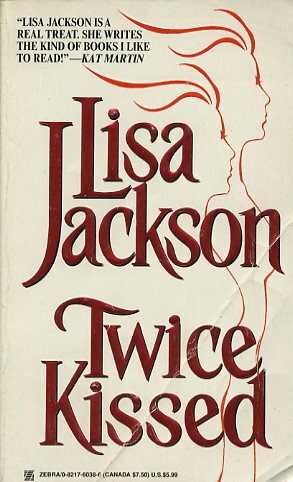 When glamorous TV star Marquise Walker vanishes from her lavish Denver estate without a trace, her identical twin, Maggie Macrae, leaves her home in the Northwest to search for her. With the police indifferent and a cryptic suicide note setting up a dreadful possibility, she plunges into a seething world of scandal, intrigue, and illicit desire... and uncovers secret after shocking secret about the sister she thought she knew. But of all the men who loved and hated Marquise Walker, it is her wickedly handsome ex-husband Thane Walker who puts Maggie at greatest risk. Once, she desired him with all the wild, uncontrollable hunger of youth; now he is the man she dares not trust -- a man who could be a murderer. But she underestimates Thane's fierce determination... and his explosive sensuality. Soon he is drawing Maggie back into his dangerous, passionate embrace, where she is vulnerable again -- and where one final, shattering truth could destroy her chance for happiness forever.